Volunteer for 55 hours to get a half credit. Volunteer for 110 hours to get a full credit. 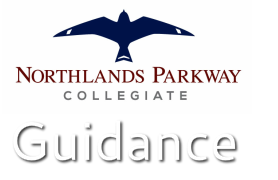 Fill out this form and submit it to your Guidance Counsellor BEFORE YOU BEGIN volunteering. Below are some options for volunteering, but you're also welcome to arrange something else! Popcorn: minimum 18 yrs. of age. Assist with making popcorn and distribution in the Rogers Fan hub. Be able to lift product. Clean machines at the end of the night. Interactive Hockey Games: Assist with various hockey related games on festival grounds. Ensure consumers know how to use the games and are taking turns. Ball Hockey Rink: minimum 16 yrs. of age. Able to stand for duration of time. Basic hockey knowledge. Energetic. Retrieving balls, managing line up, helping kids put on gear, etc. "First and foremost, mentoring is about being a friend to a child or youth. We encourage Bigs and Littles to choose activities they both enjoy. Caseworkers do their best to match mentors with a Little Brother or Little Sister who has interests similar to theirs." Volunteer opportunities include: Gardening Program, Gift Shop, Monthly Musical Guest, Morden Auxilary, Palliative Care, Patient Visits, Recreation/Activity Program, Winkler Auxilary, Selling Raffle Tickets, BTHC Rep for Summer Fairs & Festivals, and more. Volunteers are needed to assist with events and programs, with other opportunities in discussion with the director. Please contact Peter Cantelon: peter@discoverfossils.com or 204-822-3406. This is an opportunity to make new friends, share in life-changing experiences, and have a real impact in the lives of others. To volunteer alone, a student needs to be 15 year or older. Volunteering with a group (family, youth etc.) is also possible! Shelter for abused women and children. Currently looking for students to help with their Summer Kids Camp (one week) for children ages 6-12. Please email sccfv@genesis-house.ca for more information or to sign-up to volunteer. The hours, days, times are flexible. Jobs that we will need to be filled are: housekeeping, laundry, baking, crafts, games, interacting with guests, Katie Cares Bags, music, etc. "Whether it’s sorting, pricing or working at the cash register, volunteers are vital in helping our shops make a difference in the community and around the world. We are always looking for new volunteers to join our team. Volunteering can help build your resume, help give back to the community, build friendships and support the work of MCC. There are many reasons to volunteer with us!" Please bring a resume addressed to Winkler's Manager, Peter Kornelsen. The PTM is looking for those who want to assist them with various aspects of the museum. There are many projects and dates to choose from with lots of flexibility, so if you have an hour or two here or there and enjoy being part of a team that makes a difference, join the team in order to improve, preserve and bring the museum 'alive' each season! ​A variety of volunteer options, depending on your talents! There is a bursary program in place for students enrolled in post-secondary education. PVHS operates primarily on the efforts of volunteers. Volunteering at our shelter is an opportunity to directly help animals and is very rewarding! "We are currently in need of many more volunteers for the every day operation of our shelter! In particular, we need animal care volunteers to feed, water and clean kennels for the animals. Please keep in mind that all volunteers must be 14 years of age or older." Regional Connections is passionate about building bridges and relationships as we welcome newcomers to our community. When you volunteer at Salem Home, you're lending a much-needed hand, but you'll also be surprised at what you'll get in return! Warmth, acceptance, fulfillment and purpose are a few of the things that volunteering can provide in your life! Sharpen your skills and explore potential career opportunities by volunteering today. Special Olympics Manitoba is a volunteer-based organization. Currently over 1400 coaches, officials, fundraisers and administrators provide support to our over 1600 athletes. When you complete your application, you will indicate the area in which you would like to volunteer (for example, program, fund raising, competitions, etc.) Within approximately ten days after you submit your application, you will be contacted by Special Olympics Manitoba. We are always looking for individuals who wish to provide health care-oriented volunteer service within their community using their dog to assist! Therapy dog volunteers must be: 18 years of age or older; willing to complete an application process and a criminal record check; successfully participate in an evaluation; able to provide up-to-date veterinarian documents indicating that all required vaccinations are current. There are a variety of ways to get involved at WBC! From cooking, cleaning, counselling... Whatever your gift! Please contact Dora Hildebrand at 204-325-9117. The Winkler Family Resource Centre supports all parents in the Winkler area, to help their young children thrive, and to reach their full potential. This is done through free programs that focus on literacy and learning, physical health, and interactive playtime. Students interested in volunteering may help with the annul Teddy Bear Picnic, or other aspects of the centre. The Winkler Senior Centre provides opportunities for people of many ages to volunteer, including: Assisting Congregate Meal Coordinator, Receptionist, Typing/ Computer, Internet, Fundraising, Waffle Preparation/ Serving/ Clean up, Baking, Music, Decorating the Centre. Volunteer world wide! For high school students and older, terms range from two week to multiple months! Experiences from teaching, medicine, environmental, and more!